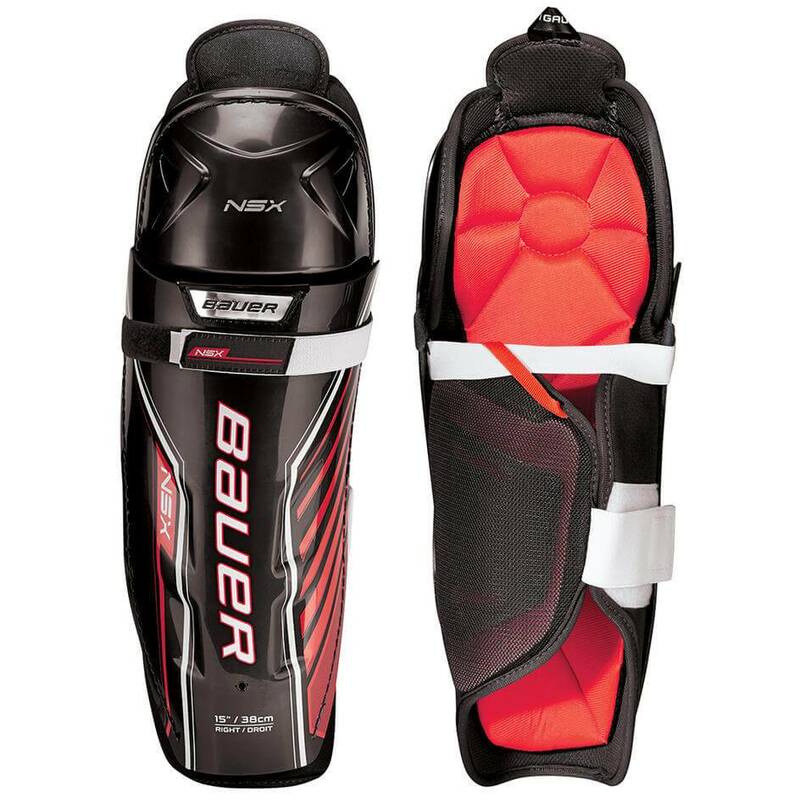 The Bauer NSX Senior Shin Guards are the new entry level model from Bauer, proving great features and comfort in an affordable package. Featuring a molded knee cap with a tapered fit, and a molded shin cap with a more anatomical fit. 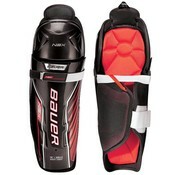 Moving to the calf guard, Bauer includes a molded PE insert for full coverage. The thigh protector on the NSX shin guards is integrated into the design and is constructed with medium density foam. 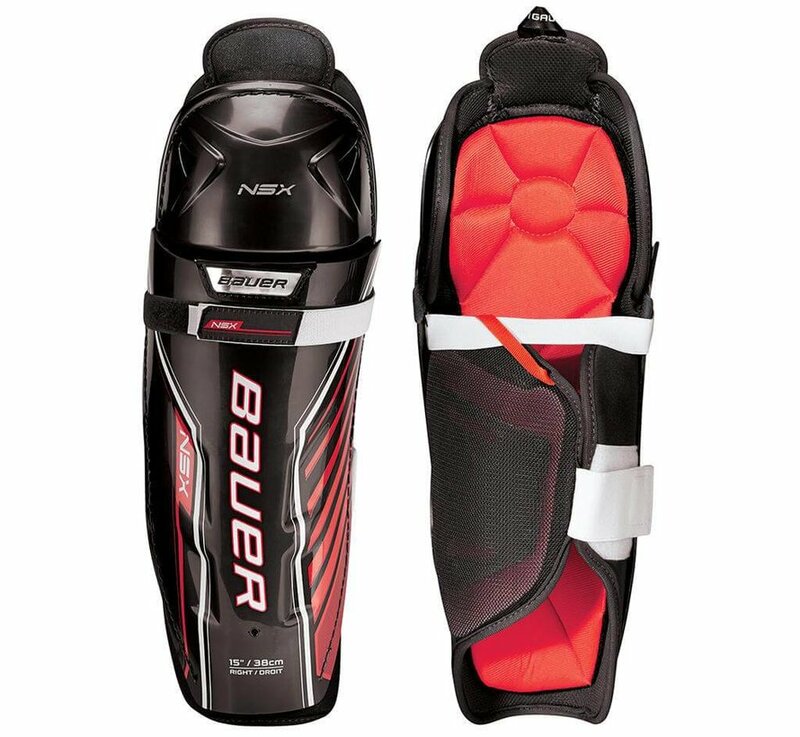 The strapping on the Bauer NSX shin guards have two straps, one behind the knee and one thicker strap around the calf to create a secure and comfortable fit.